Dublin City Council’s Community Development Section, in association with ALONE, the Gardaí and Dublin Fire Brigade, is re-issuing an appeal to urge members of the public to check in on older people in their community in advance of this week’s cold weather. 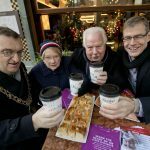 The Cold Weather Initiative was launched by The Lord Mayor of Dublin Ardmhéara Mícheál Mac Donncha in December 2017. Just Energy was delighted to receive the “Best Energy Price Plan (New Customer)” award from Bonkers.ie National Consumer Awards, an event held February 8th in Dublin celebrating companies that deliver excellence in consumer value and service. 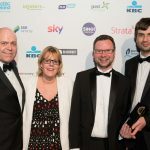 Attended by representatives of some of Ireland’s best-known companies, members of the media, and other special guests, Just Energy was thoroughly pleased to receive this unique distinction. The Irish Travel Agents Association (ITAA) today launched a new campaign to highlight the fact that 85% of consumers are financially unprotected when they travel. The ITAA represents over 140 travel agencies nationwide, all of which are licensed by the Commission for Aviation Regulation and offer financial protection for their customers. Registration is now open for the Irish Travel Trade Show which takes place in Hall 3 of RDS Main Hall Complex, Dublin 4, on Thursday 12th April 2018. 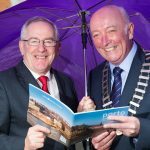 Now in its fourth year, the Irish Travel Trade Show is Ireland’s premier travel trade event, attracting a large number of exhibitors and travel trade visitors. Originally a feature film in 2016, The Young Offenders has just started a six part series on BBC Three and today the channel and BBC Comedy have announced that it has commissioned a further six episodes of the Irish comedy from producers Vico Films.